The World Travel Awards is the travel industry’s most prestigious awards programme, rewarding leaders in the tourism, airline, hotel and hospitality sectors around the World. The Awards serves to acknowledge, reward and celebrate excellence across all sectors of the global travel and tourism industry. Andrew Davidson, Area General Manager said: “The Awards are a testimony to the excellence in service delivery and overall guest experience that our InterContinental Fiji Golf Resort and Spa is widely renowned for. “There has been a global effort to refine our brand and personalise luxury experiences for our more discerning travelers. 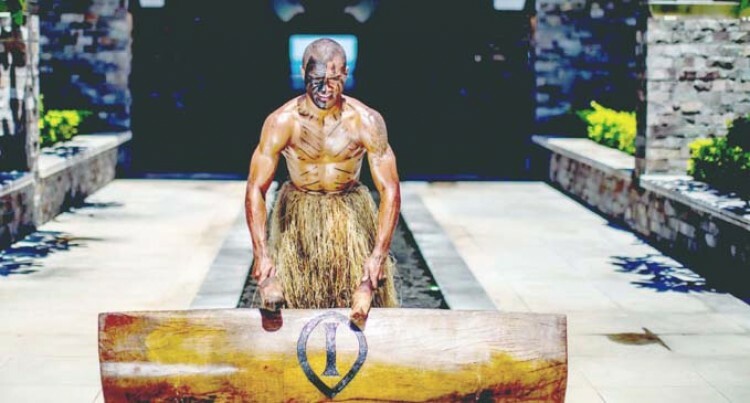 This is the second year in a row that the InterContinental Fiji Golf Resort and Spa has won this Award. Other Resorts that were nominated for Fiji’s Leading Resort are Jean-Michel Cousteau Resort Fiji, Laucala Island, Nanuku Resort, Sofitel Fiji Resort and Spa, Taveuni Palms Resort, Turtle Island and Yasawa Island Resort. Not only did the InterContinental Fiji Golf Resort and Spa win the Awards for Fiji’s Leading Resort, but it also scooped Australasia’s Leading Resort Awards edging over boutique and luxury brands such as Emirates One & Only Wolgan Valley (Australia), Millbrook Resort (New Zealand), Qualia Great Barrier Reef (Australia), The Manava Luxury Villas and Spa (Cook Islands) and the St Regis Bora Bora Resort (Tahiti). Mr Davidson went on to add: “To win not only the Awards for Fiji but also for Australasia is a great achievement in itself. Some of the other Awards that the Resort has won since January 2017 are TripAdvisors Travellers Choice Awards: Top 10 Hotels in Fiji, Luxury Travel Guide Awards: Family Friendly Hotel of the Year and also a nomination for the World Spa Awards for Fiji’s Best Resort Spa. Largest entry level rooms in Fiji with 1 King Bed Garden View Rooms starting at 63 square metres. Each room and suite also offers the largest living space complete with a verandah that features a day bed, Cleopatra Bathing Tub and other amenities. InterContinental Fiji Golf Resort and Spa is located on Natadola Bay; the only natural strip of beach on Fiji’s mainland. Natadola Beach has been voted #1 Beach in Fiji and Top 25 in the World by CNN and Conde Nast Traveler respectively. Club InterContinental is a “resort within a resort” concept with only fifty exclusive one and two bedroom suites. Club InterContinental is set atop the hills of Natadola Bay with panoramic views to enjoy. Club InterContinental offers semi-inclusive rates featured butler service, all day non-alcoholic beverages from the Club lounge, breakfast options across three restaurants, high tea, two hours of sunset canapes and cocktails and so much more. Service is heightened and personalized s0 our Club Intercontinental guests can relax and take in the VIP ambience. InterContinental Fiji Golf Resort and Spa has access to the only PGA endorsed championship golf course. The golf course is also host venue to the Fiji International of which, the InterContinental Fiji Golf Resort and Spa is a tournament sponsor and official accommodation provider. InterContinental Fiji Golf Resort and Spa is the only resort in Fiji that offers a fully fledged concierge team completed with Concierge Manager to look after the needs of our guests. The InterContinental Ambassador Program is designed especially for loyal guests of the InterContinental luxury experience who pay a small fee to receive exclusive rates,complimentary upgrades, vouchers for free night, late check outs and other exclusive benefits to enhance every InterContinental experience. Each of our 266 luxury rooms and suites offer a two person Cleopatra Bathing Tub that is used for our Queen Cleopatra Bathing Ritual. The tub is filled with warm water then an emulsion of honey, coconut creme and almond extract is added to the water to rejuvenate the skin. The treatment is complete with tea lights and champagne on ice and is normally prepared for a post dinner treatment. The InterContinental Water Court is a collection of ten meeting spaces ranging from breakout rooms to the largest pillar less ballroom in Fiji. The team that execute Meetings, Incentives,Conferences and Events (MICE) offer years of combined experience in executing events to international standards.